If you’re planning a camping trip to Washington’s Olympic Peninsula, it’s time to start making your Olympic National Park bucket list! One of the Pacific Northwest’s most spectacular gems, Olympic National Park covers nearly 1 million acres. The landscape varies greatly with ocean beaches, sprawling rain forests, towering mountains, winding rivers, rugged wilderness, and gorgeous clear lakes. 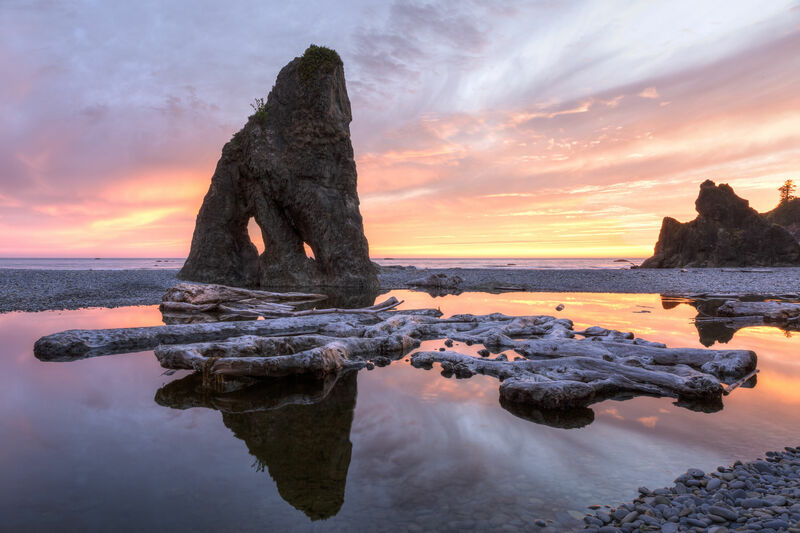 You could easily spend a week exploring the park, but if you have limited time, here are 5 of our favorite spots in Olympic National Park. This breathtaking rocky beach is well-known for its magnificent seastacks (offshore islands), enormous drift logs, tide pools, and beautiful coastal forest. If you want to do some exploring, visit at low tide for hiking. The popular Hole-in-the-Wall sea arch is 1.5-miles north of Rialto Beach. The Hoh Rain Forest sees between 140-170 inches of rain every year, that’s a whopping 12-14 feet! You will feel like you’ve walked straight into a fairytale in this lush, green forest. Ferns and moss cover nearly every surface, creating an enchanting environment perfect for exploration. The Hoh is one of the finest temperate rainforests in the US and is a must-see in this region. Don’t miss out on the Hoh River hiking trail, Glacier Meadows, the Hoh Lake trail and Sol Duc Valley while your here. 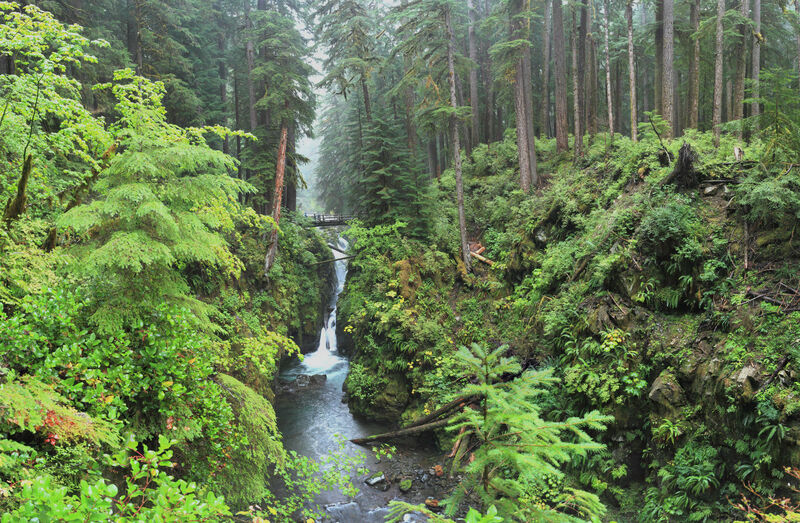 And, if you’re a waterfall lover, you need to check out Sol Duc Falls (pictured above). 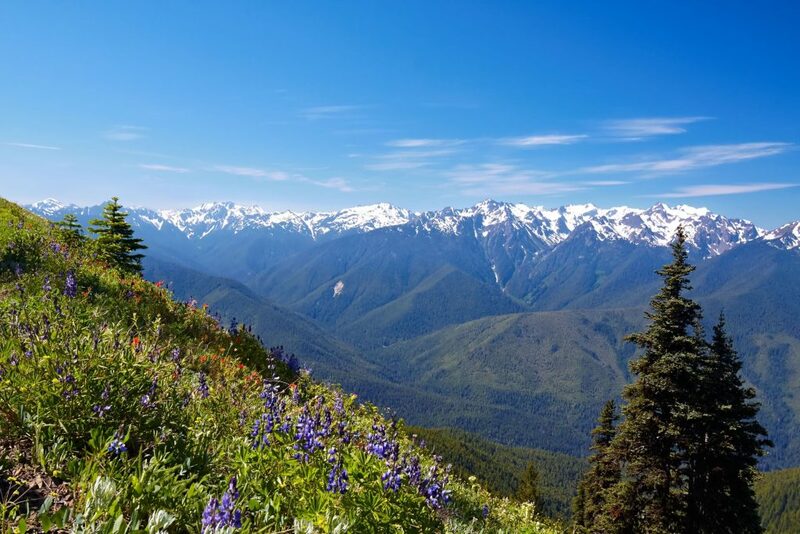 If you want to immerse yourself in the mountains of Olympic National Park without an arduous trek, you will want to stop at Hurricane Ridge. When the weather is clear, the views here are absolutely amazing. You can spend a few minutes taking in the panoramic sights or having a picnic, or if you’re feeling adventurous, take a hike to subalpine valleys and lakes. In the winter this is a great spot for snowshoeing, sledding, and cross-country skiing. 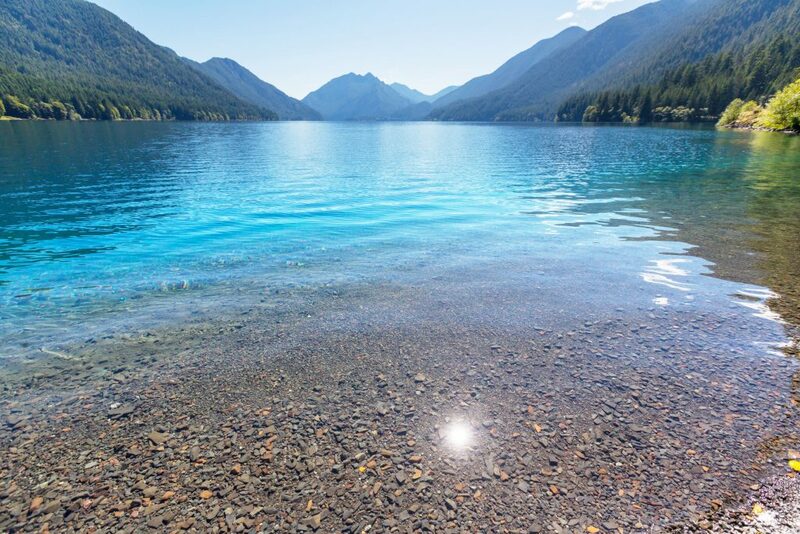 Crescent Lake is located within the northern foothills of breathtaking Olympic Mountains. A glacially carved the lake, the water here is clear and deep. This is the perfect place to get on the water for some sailing, boating, or kayaking. If you prefer to stay on land, multiple hiking trails wind through the mountains and lowland forests. Marymere Falls, a visitor favorite, can be accessed by the Barnes Creek Trail. 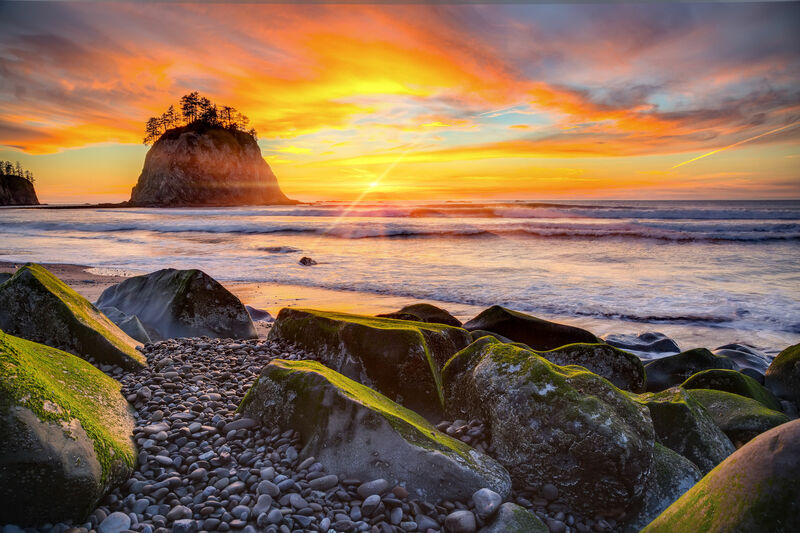 Ruby Beach is situated on the southwest coast of the gorgeous Olympic Peninsula. This rocky beach boasts impressive driftwood, unique seastacks ripe for exploring, delightful tide pools, and lush vegetation. And if you love taking pictures, this could be your dream destination. Be sure to check out the beach during sunrise or sunset for some truly amazing photographs. Ready to add Olympic National Park to your must-see list? Explore great Washington campgrounds, RV parks, and resorts on Camp Native!